→What Is Amway About? – Is Amway Good To Join? What Is Amway About? – Is Amway Good To Join? The rise of multi-level marketing (MLM) in the American consciousness can be partly attributed to the opportunistic greed many people possess. MLM professionals tap into the deep desire for a fast and easy buck, preferably a buck earned with little to no effort after making the initial investment. One of the multi-level marketing companies that have made its mark in American consciousness is The American Way, or Amway for short. What Is This Billion Dollars Company About? This is a multi-level marketing company founded by Jay Van Andel and Richard De Vos in 1959, based in Ada, Michigan, and organized in a family of companies under Alticor. Its wide range of products includes health, beauty and home care goods sold in more than a hundred countries and territories, usually via affiliated companies outside of the United States. Currently, as of this writing, Amway continues the legacy by their original families-their fathers with Steve Van Andel ( Left) as a role of Chairman and Doug Devos (Right) as role of president. Such is its market presence that it has been ranked among the top 50 of the largest private-held companies in the United States (Forbes, 2015). It’s also the top multi-level marketing company according to Direct Selling News. But don’t be fooled by these things because Amway isn’t what it seems, as is true for most multi-level marketing companies. But as the Harvard Business School of Leadership noted, Amway’s founders attained their multi-level marketing success by using an “elaborate pyramid-like distribution system”. Indeed, state and federal authorities have asserted that multi-level marketing is as close to pyramid schemes as you can get while still being legal. Who Is Amway For? Are Amway Products Good? Amway is designed for people who want to earn part-time or full-time income from marketing and selling a wide range of products lines. These include personal care products, home care products, electronics, jewelry, air and water purifiers, cosmetics, insurance, and Nutrilite dietary supplements. But here’s the thing when Amway IBOs sell their products to prospective customers and recruit potential distributors: They have been warned never to mention the Amway name on the phone, even when detailing the products and business plan. The reason: Apparently, sponsors in the past have misused the brand name and, thus, people have made negative connotations about it. IBOs want to introduce the “new Amway” without such negativity to their potential customers and recruits. If you have been contacted by an Amway IBO, you will find this thing to be true. You may ask about the company but the topic will be diverted to prevent the Amway name being mentioned, at least until the very last part. There are numerous tools and training systems available for building an Amway business, such as the Dexter Yager Internet Services and Network Twentyone. But these are independent corporate entities from Amway! These third-party entities will also never mention Amway in their training seminars and materials, such as DVDs, CDs and books, a must when promoting Amway’s brand. But that isn’t all either. These training tools are so expensive that the income generated from sales will be insufficient to cover them, which means most IBOs in the lower echelons are likely to suffer losses, month after month. New and veteran IBOs alike are always being promised that the secret to success lies in the $250 seminar, which will only work when the $40 package of books and tapes are purchased, too. No matter the training tool, the hook is similar: You invest a little money now, you will get better sales and better life later. But the money for training isn’t little, as most IBOs soon discover. You can spend as much as $10,000 on training tools plus traveling expenses yet earn less than $1,000 in the same time. This isn’t fiction but fact, too. You only need to search the Internet for stories to find the truth to Amway’s undelivered promises. According to its website, Amway offers several types of support to its distributors including distributor tools for aiding in the accomplishment of sales goals; local leadership tools for local brand strategies and global brand consistency; and integrated search designed to increase productivity by up to 100%. Again, don’t be taken in by the company’s so-called support system. You will still be encouraged, even required, to enroll in the expensive training programs mentioned above. Let’s take a look at the pros of Amway. But there are also cons to Amway’s multi-level marketing scheme. It is incredibly hard to build cost-efficient, results-effective network marketing teams especially in North America. The negative reputation established in the mind of consumers after Amway was accused by federal authorities of trading irregularities, particularly of being a pyramiding scheme, contributed to it. The advent of the Internet including online marketing made it necessary to effectively combine online and offline methods, which many distributors were unprepared for, also added to it. It requires plenty of time, energy and effort to achieve financial success because of the complicated compensation plan, known as the stair step breakaway. You have to maintain your sales volume in order to enjoy royalties, which can require serious hustling on your downlines. It requires more sales volume in comparison with other companies, which means new IBOs will be suffering from losses for a longer period. For example, you have to achieve a $300 sales volume in order to get paid, in comparison with $100 or so for other companies. If you want to earn extra income, you’re well-advised to steer clear of Amway. In the United States, the company has become increasingly known for being a pyramiding scam, no thanks to its unethical business practices. In fact, the company has paid more than $200 million in settlements to settle more than a few class action suits filed against it, with allegations that include racketeering and fraud. 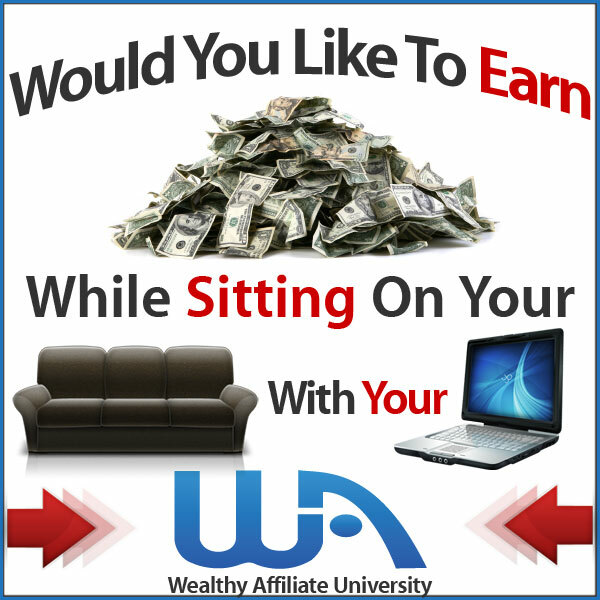 With that being said, you must consider affiliate marketing with Wealthy Affiliate! You don’t have to build a network of distributors, hustle your people to recruit more people and make more sales, and understand a complicated compensation scheme. You have to check it out now. More importantly, In WA you will learn how to work on your Interest, your Passion, the things you are Good at. For example, you are passion in Gardening. Then you will able to learn to build a Niche related to gardening instead. Whatever niche, your choice. Different people have different strength. Once you choose your niche then the last is how to build up that online business and make money, but helping people at the same time. This is called- affiliate marketing. Very different with network marketing. Both very different things. So after reading my review about Amway what is your thought? Feel free to share with us. Let’s make it fun. Cheers and Thank you for reading this.